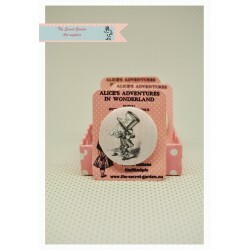 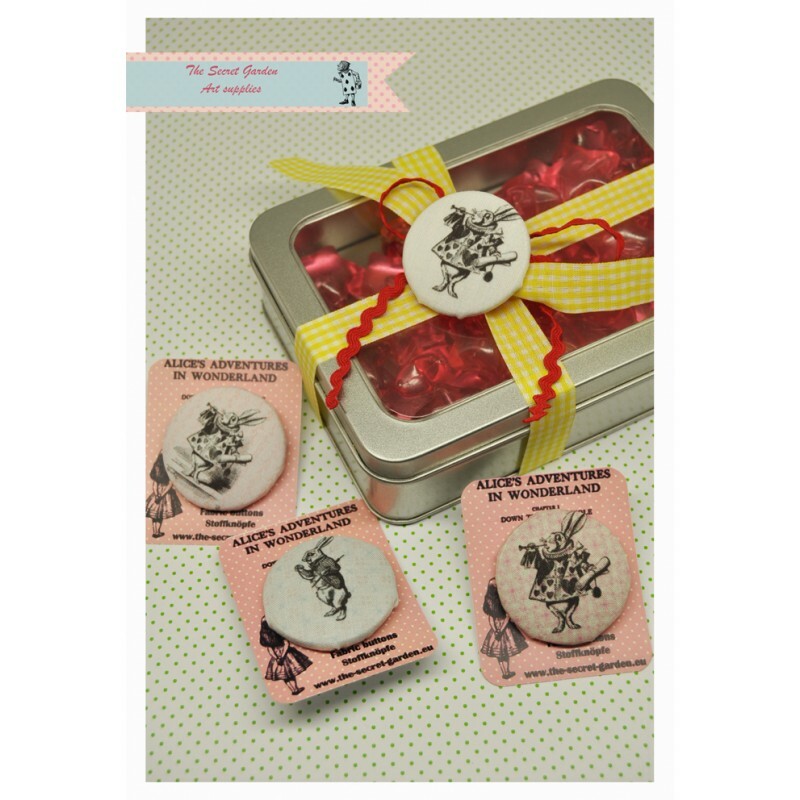 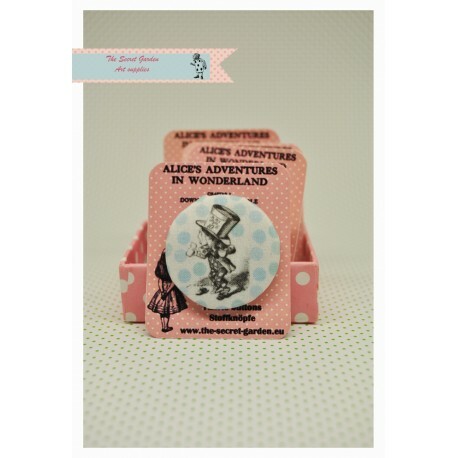 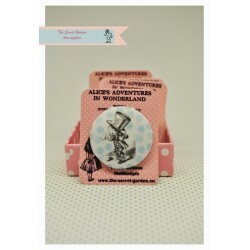 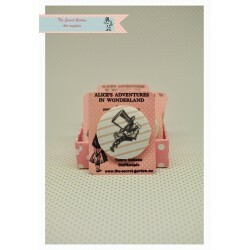 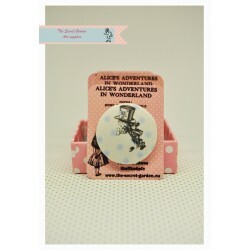 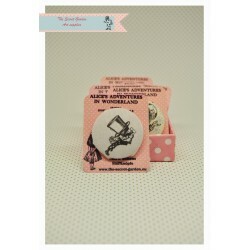 Fabric covered button - alice in wonderland collection. 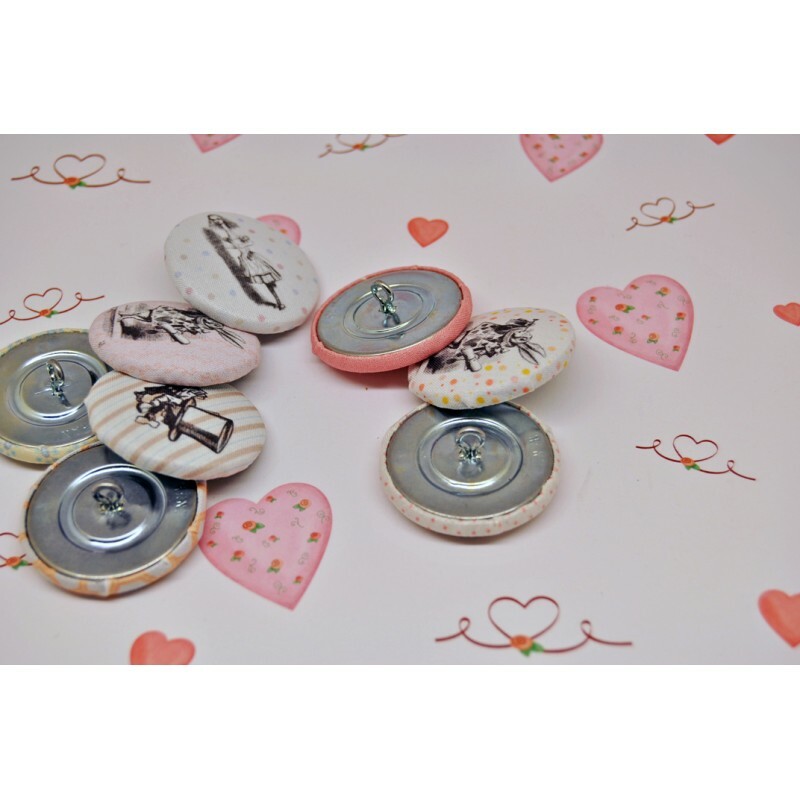 size: 40mm - 1 1/2"
This is a handmade button made of cotton fabric. 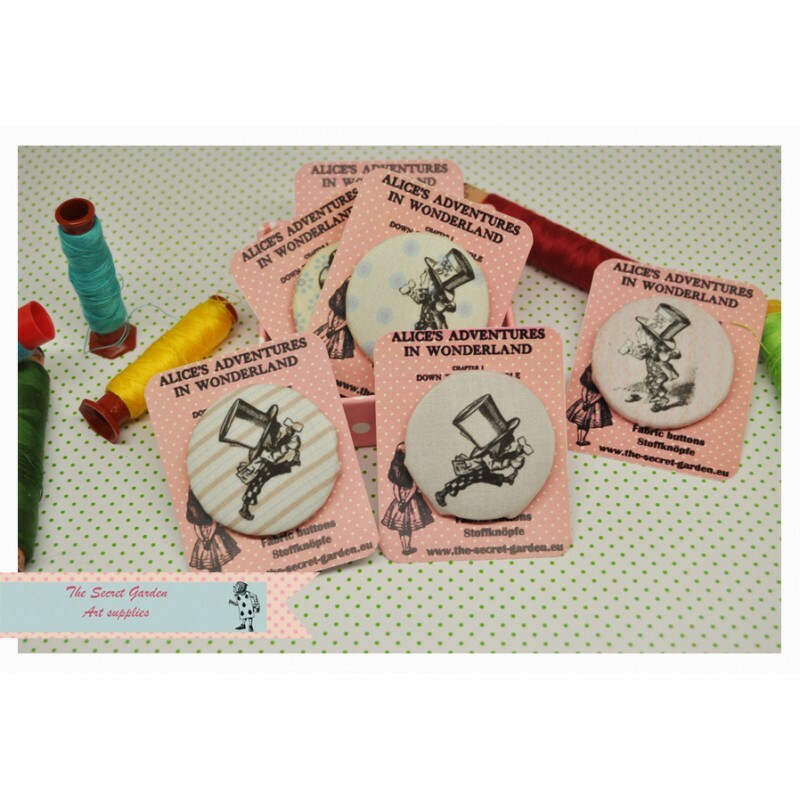 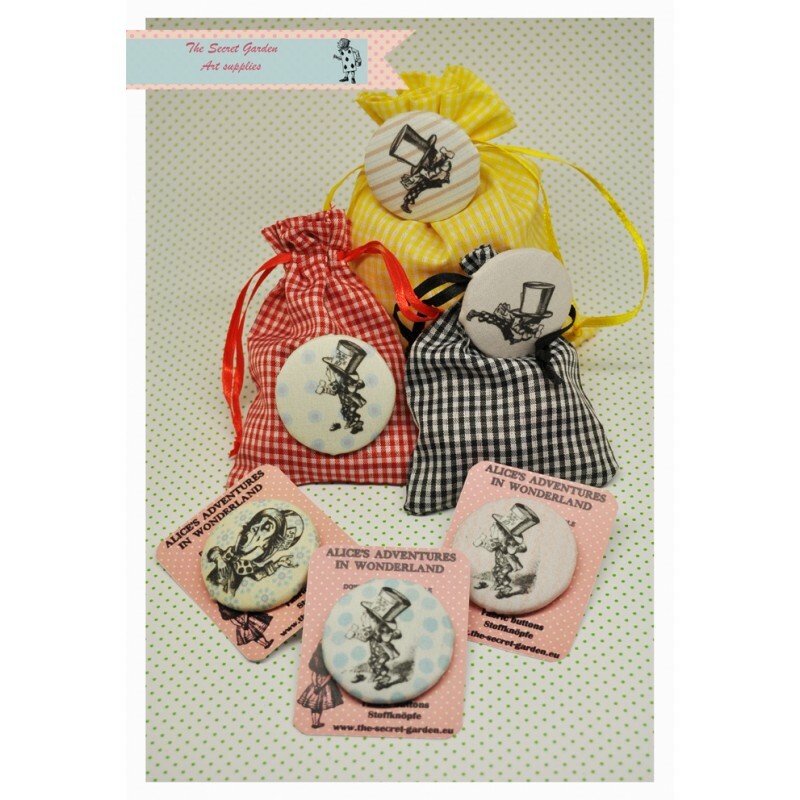 The buttons are inspired from alice in wonderland original illustrations, we have created 40 new desings that you can find in fabric buttons. 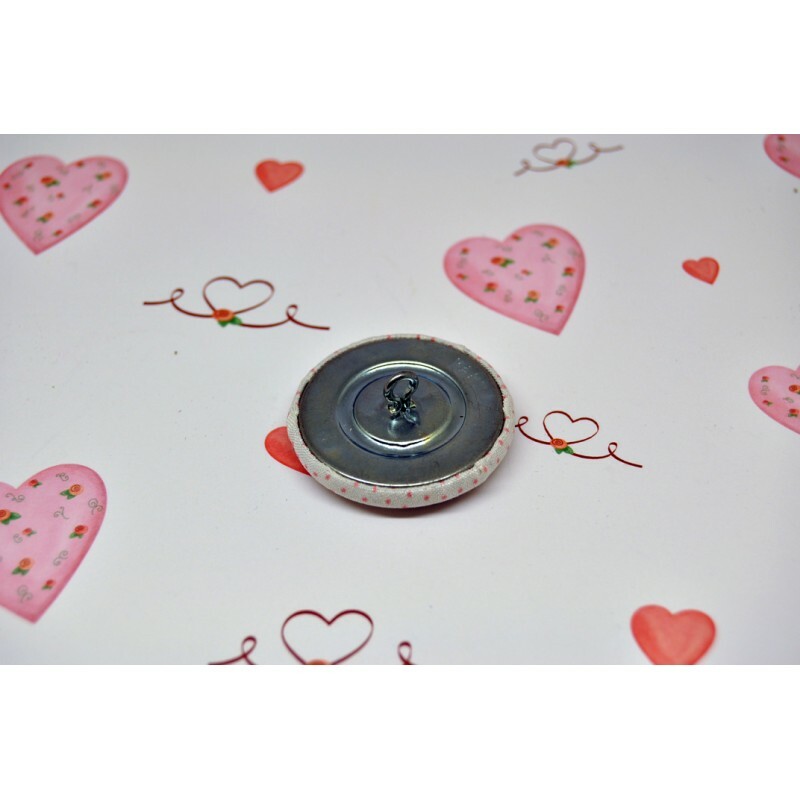 This is a 40mm - 1 1/2" with metal cover and it is safe to use it in sewing, clothing and any kind of craft item.This button is metal at the back so we do not recoment washing it. 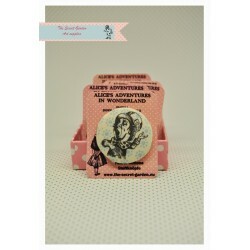 The print has been treated and it is safe to wash it the colors will not fade. 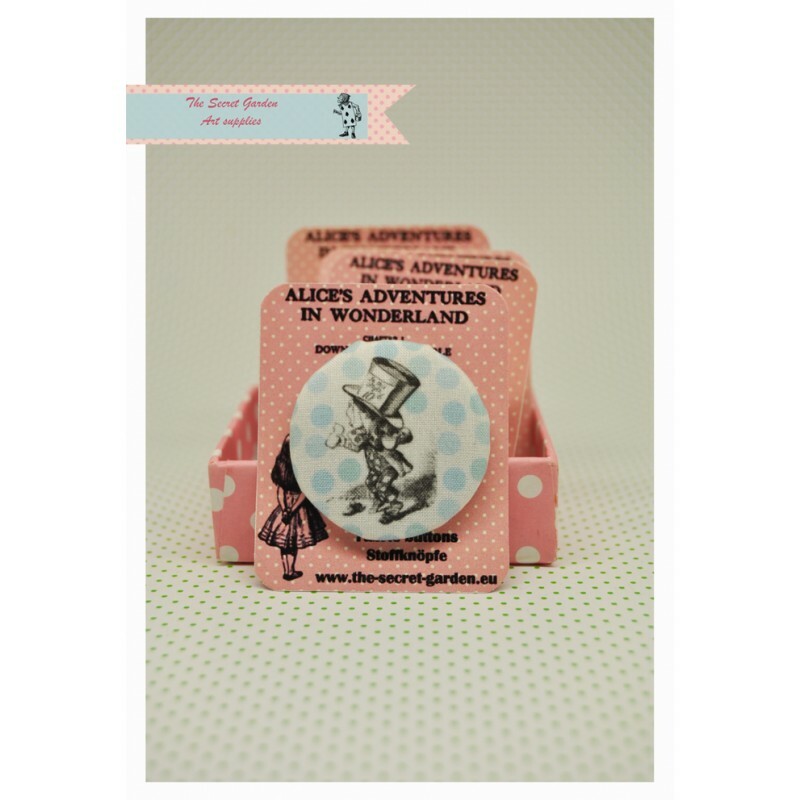 Shipping : We ship all items on first priority regular mail.